I thought it was time to give an update to say, well, nothing’s happening. Fortunately for us this isn’t a “we’re trying and it’s just not working” post, as that would be far harder to write. For now, this is simply a limbo post. This month was intended to be the “start trying” moment, the exciting beginnings of the next chapter. Instead, it’s more of a “same old” moment. As I’ve mentioned previously, we’ve decided to wait a few more months, purely for financial reasons. As much as I despise the current Prime Minister, I’d be a fool not to make use of his ridiculously generous maternity leave scheme. Financially for us it means roughly another $10,000, which equates to more time off for me, meaning I might be able to take 12 months off instead of 6. Logically, this all makes perfect sense. Emotionally however is another matter. Ever since Mr Nester and I started the baby chat, the possibility of being a parent and having a child has been swirling through my mind. In the first few months of discussion, I had pretty much everything sorted, down to nappy colours. Fast forward a few months to where I am now, and the initial excitement has worn off, replaced with what seems like an eternal wait: first, to even start trying, and then the unknown lapse until we fall pregnant. I’ve never been good with uncertainty, with waiting patiently (Mr Nester will be nodding vigorously here), and the time until something actually happens seems to be forever away. In the meantime, I’m still taking pregnancy vitamins, which seems pretty pointless at the moment. I don’t want to stop them though, as currently it feels like the only tie to our plans. 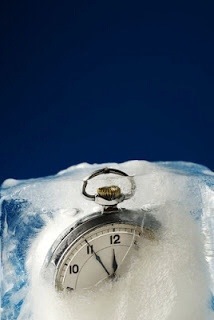 Everything else seems frozen in time. So in the meantime, it’s business as usual. My focus is on our upcoming trip to the UK in September, and the knowledge that not long after that, it will be “time”. Here’s hoping all goes well after that.